By now you guys are very familiar with our passionate, undying devotion to Clueless. Amy Hecklerling's seminal '90s teen classic is responsible for introducing us to Azzedine Alaïa, "as if," classical Impressionist painters, and the perfection that is Paul Rudd. So, clearly we follow anything related to Cher & Co. with an eagerness that borders on obsessive. Which is how we stumbled upon these brilliant new nail wraps from NCLA. Brand founder Elin Dannerstedt cites Cher Horowitz as a huge inspiration (um, more like life coach/mentor/idol), which is what prompted her to bring the movie to life via a collection of four nail wrap sets. There's Cher's Closet, Everywhere You Go Has Valet, I Totally Paused! and, of course, Virgin Who Can't Drive. The designs feature pastel argyles, animal prints, road sign prints, and quotable quotes sprinkled throughout. The wraps don't go on sale until next month, but we've got your sneak peek right here. And yes, they totally come in your size. 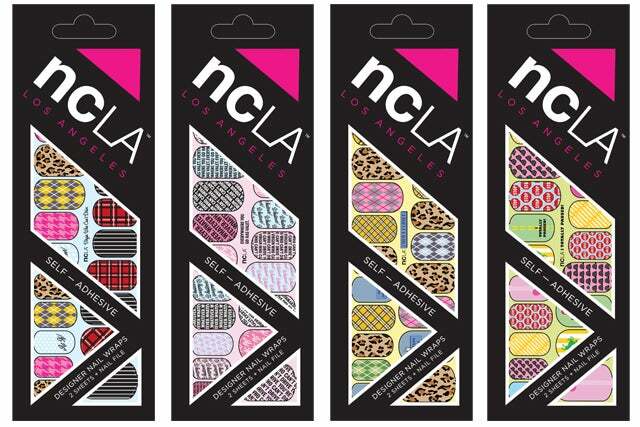 NCLA Clueless Nail Wrap Collection, $16 each, available in September at NCLA.